Once again, the United Progressive Alliance (UPA) is approaching a session of Parliament with an ambitious legislative agenda. Some of these Bills have been in queue for a long time now. This time, more so than before, it is once again likely to return empty-handed. This is not just because it has failed to do some political heavy lifting to create the right environment in the run-up to the winter session, but also ignoring or failing to see that the country is facing a mini-election—key states, including Uttar Pradesh (UP), Punjab, Gujarat and Delhi, are readying for assembly elections early next year. An announcement to the effect is imminent from the Election Commission of India. This session is likely to put the spotlight on corruption and price rise once again—headline inflation as measured by the Wholesale Price Index is hovering just below double digits. Both are hot-button issues with the electorate. The opposition— the Bharatiya Janata Party and the Left parties—has already served a warning. The UPA on its part is unlikely to favour any detailed discussions on either of these issues. Differing priorities suggest another stalemate. 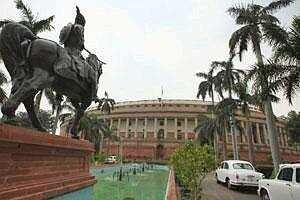 The last few sessions of Parliament suggest a strained relationship between the UPA and the opposition. If nothing, it has only worsened, with both sides, at times, even engaging in personalized attacks on each other. In the last session, both houses lost about one-third of their scheduled time due to disruptions. In the budget session that preceded it, the situation was marginally better. So almost every sign points to a session that is unlikely to be productive, especially in generating parliamentary approval on legislation. This is tragic, because the country is desperately seeking a fresh start to generate the desired momentum. All the more as global economic conditions rapidly deteriorate. Long pending pro-reform legislation would have served as an ideal platform.